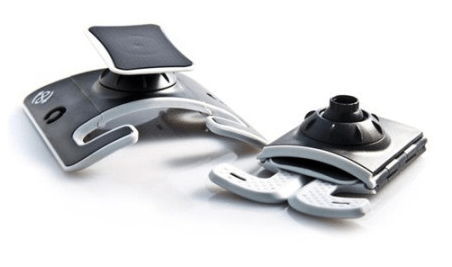 There are plenty of tablet stands out there, but it is good to see more innovation coming out. 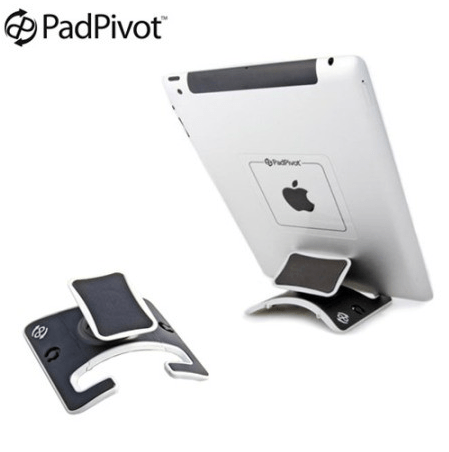 The PadPivot is an example of some of the new style of tablet stands out there. Unique shape and added strap means it can actually be snugly fitted around your leg. 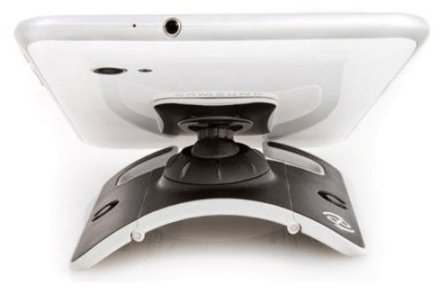 Two ways of attaching phone/tablet to it, using the stand, or the sticky pad on top. One of the many features, I found the ability to strap or even pop it on your leg without a strap to be quite useful. We often use our tablets in our laps, and having the ability to perch it on your legs is quite a useful feature to have. The fit in your pocket is quite a good feature too, though since it isn’t quite as smooth or shaped like your average phone, it does tend to stick out. However, it does mean that you can happily carry it around in a bag or similar without adding much weight or volume to your package. As far as viewing went, I preferred the angle without using the sticky pad to stick the back. Instead I found perching between that and the stand’s legs worked best. However, if you have to type, the sticky pad angle works better. The PadPivot can be found under iPad accessories at GearZap, and can be bought for £24.99 on a special offer at the moment.